Thank you for an unforgettable year of learning together. You have helped me make the transition from being a kindergarten teacher to a third grade teacher, showing me how kids your age think, question, read, write, and problem solve. You are a very special group of students and I will always remember you and our time together. There have been so many things to celebrate this year- Skyping with our friends in California, tweeting our class events, turkey diaries, Mangoes field trip, Mexico stations project, research projects and Google slides, writing our persuasive speeches, our field trip to the Bronx Zoo, racing around the track at Field Day, and getting our DOJO paychecks. All special moments. But the times I will treasure the most are the ones where we sat together on the green carpet and shared stories. Thinking about some of the memorable stories we shared, I have some hopes for you as you leave third grade and continue your journey in school and life! 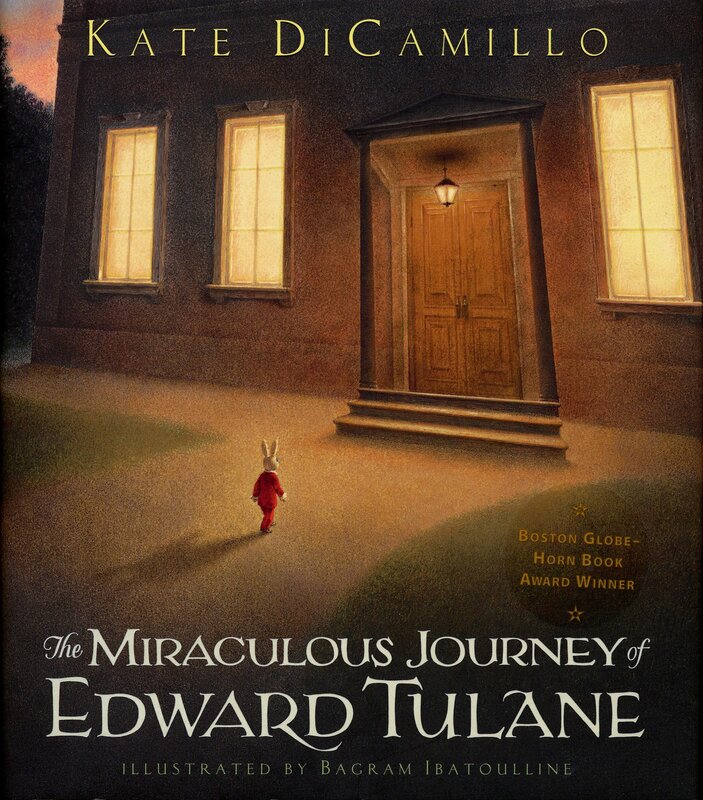 From The Miraculous Journey of Edward Tulane: I hope you deeply love all the special people and places in your life and remember that loving and being loved is always the point of the journey. I hope you are willing to help a friend, like when Bryce gave up the chance to keep Edward so he could be restored by the doll mender. I hope you have exciting adventures but always come back home to the ones who love you most. I hope you realize it is okay to cry when a book touches your soul. From The One and Only Ivan: I hope you realize that no matter what your circumstances, it is never too late to try to change things that leave you feeling trapped. I hope you can be courageous when it comes to helping someone who needs you. 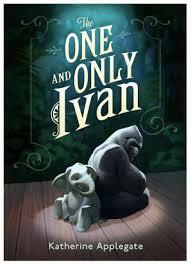 Ivan's gift was his art, but we all have gifts. I hope you discover yours and use it to make the world better. 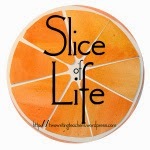 From James and the Giant Peach: I hope you look for the magic in life! Being kind, even to people who are terrible to you, will leave you stronger and better. Friends come in all different shapes and sizes, so don't overlook someone just because they might not appear to be the friend you expected. Keep dreaming! From The Hundred Dresses: I hope you understand that everything you do and say, or not say, matters. In life, there will be moments when people are mean to you and moments when people are mean to others. I truly hope that there will NOT be moments where you are mean to someone. This book reminds us of the power of our words and actions. When we see someone being mistreated, it is important to take action to make that stop. Every person matters and every person deserves respect. From Love That Dog: Everyone can write poetry and poems are found in the everyday moments and stuff of our lives. Let what you read inspire you to write, like Jack was inspired by Mr. Walter Dean Myers. Take chances with your writing. Sign your name to your writing and be proud of your work! Notice the amazing things around you and the small details and write about them so you'll always remember. 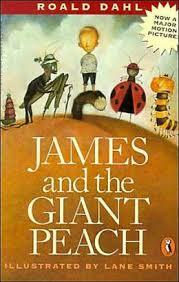 As you leave third grade, I hope you will carry Edward and Ivan in your heart, remember Wanda Petronski and her hidden talents, don't forget James and his magic or Miles and Niles and their pranks, or Jack and his courage to write about Sky. And I hope that you know how much YOU matter and how smart, capable, kind, and important you are. Just call me up- cause you know I'll be there! And I see you true colors shining through. I see your true colors and that's why I love you. Are beautiful like a rainbow." Always here for you, always proud of you! Now go on with your amazing selves and enjoy the summer! Thank you Sally! Your letter was so fabulous and one of the ones that inspired my thinking. I never even thought to do a farewell letter before Tara's post and I've been teaching since 2001! I loved all my read alouds this year! Edward Tulane was an incredibly powerful and emotional read as was The One and Only Ivan. 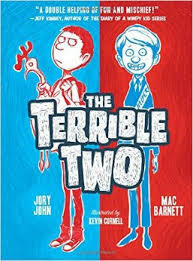 The Terrible Two was my choice to try to hook more boy readers and it is so well done and hysterically funny! Hoping we can connect and share ideas as third grade colleagues! I loved your letter! Tara's post inspired me to write an end of year poem for my kids. We read many of the same books to our third graders this year- great choices! Enjoy your last days! I love your word clouds. I, too, gave books and bookmarks. I relate so much to how you have loved these students. I am never ashamed at how unabashedly I love my students. They love to hear it too. Happy summer friend. I love those word clouds! What a special gift for each of your students. Your goodbye letter is so heartfelt. I wish I had you for a third grade teacher! 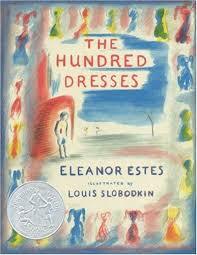 As I scrolled through your read alouds, I realized that we read many of the same books to our classes. Edward Tulane is always my favorite. Enjoy your last days! The word clouds are just an awesome thing, Kathleen, and the book, special for each, is, too. And the letter I imagine will be treasured for long years to come. Those books are treasured memories of your year together, and to place them in the letter would make the authors proud, too. I'm glad you shared. Have a wonderful final two weeks! You are leaving your students with so many gifts- tangible and intangible. Amazing. What a first class way to end your year. What kid will forget you? What a beautiful, beautiful way to end a year of learning. Your kids will always treasure this year and their memories of you. Now - hooray for the fact that your summer has begun! Your blog has become a go-to place for me and I am always inspired by your words. I love the idea of the word clouds! What beautiful gifts for your students! I used to write end-of-year letters to my ESL students before I retired, so ready your post tonight made me feel a bit nostalgic. I am not surprised at how kind and loving your words are, nor am I surprised at the generous gifts you give to your students. But I am absolutely sure that the best gift of all was that they got to spend the year with you! 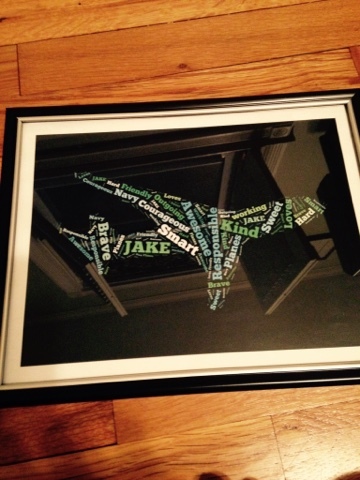 Those word clouds are going to be gifts they were treasure. What a nifty end-of-the-school year idea! 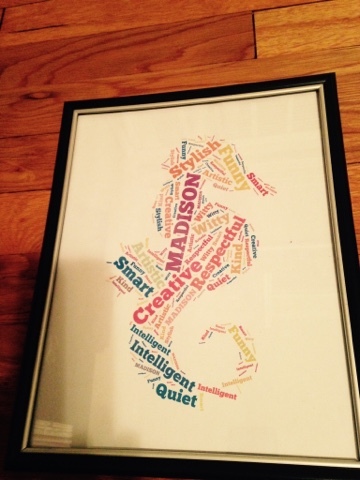 I love those word clouds as gifts - what a great idea - and the letter too! We had almost the same exact read alouds this year! Great minds think alike!